The Microsoft Lifecam HD-6000 autofocus is notoriously annoying. It refocuses unnecessarily sometimes every few seconds making the camera nearly unusable. Here's the workaround on Raspbian (Debian) for the Raspberry Pi. The best workaround is to disable autofocus. You'd think this would just make the camera blurry all the time, but it doesn't. The camera's depth of field keeps the image in focus over a wide range of distances without autofocus. I've tested ranges from 18" to infinity and everything is sharp and clear. Since this camera is UVC-compliant (USB Video Class), on Raspbian disabling autofocus is done with a command that interacts with the UVC driver, uvcdynctrl. And that's it, no more annoying autofocus. I'll be able to use this tiny, attractive little webcam for my RPi Telepresence robot. Is this really a fix when all you are doing is disabling autofocus? Have Jim, I have a problem with my car, the brake lights flicker on and off. No problem Bob, just disconnect them. After disabling autofocus, the image is clear and focused for a wide range of distances. So, it becomes usable versus going blurry every ten seconds making it unusable. I don't care if we call it a fix, hack or a rutabaga. :) The point is that when you disable autofocus the camera works nicely. Does this camera work powered by the Pi only, or do you need USB hub? This website lists various hardware and their compatibility and whether they need a powered hub or not. i also had to turn on focus absolute to 1. turning focus auto to 0 didn't fix the focus. 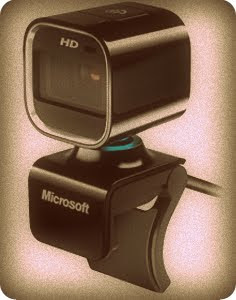 I have to use FOCUS AUTO OFF with a Microsoft LifeCam HD-6000 ...Good job! Thanks. Accessing and changing camera parameters (if your camera supports this), from the command line in Linux. First list all the devices, in order to find your device. you will find the value at the end of the output as 1, as the auto focus will have been enabled by default. Now you need to first set the auto focus to 0 and then only, can you set the manual (absolute) focus to whatever value you desire. Take care about the spacing in the command..
Now that you have disabled autofocus, let us set a value- say 10 for the manual focus. In the end of the output, you should see 10 as the control value for manual (absolute) focus..
Might be an older post but I've got an older camera. Thanks for the post. Sure helped me! Sorry to necro this post, but I was wondering how I could get these scripts to run at boot? Everytime I need to re-boot my pi I loose the settings.